US Comedy series 1955 13 episodes x 30 min COLOR!!!!! Vice President of the First National Bank in Pearl River, New York. The films were actually shot on location in Pearl River, New York, a small town in the Hudson Valley. 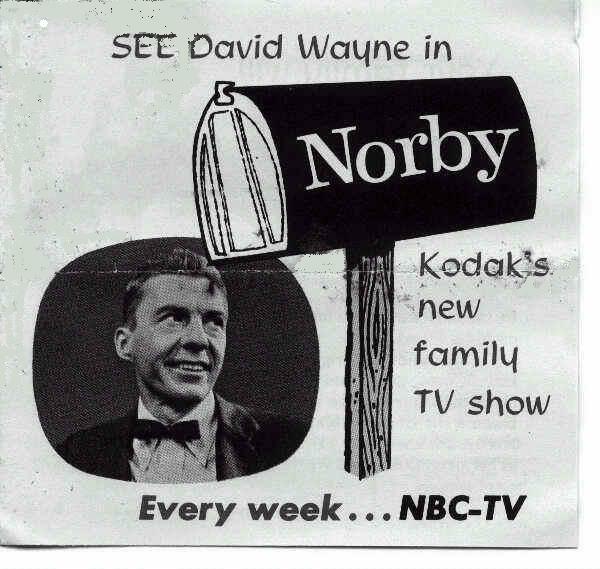 Norby is the first regular series done in color (the pilot episode recently turned up with commercials intact). postponed until the following week. While Diane and Helen wait for Norby, Diane studies the "love interest"
Young Diane Norby decides that her ambition is to be a ballet dancer. Copy of e-mail sent to the Classic TV Archive"
"I do have an interesting side note to the "Norby" series and one of its stars. 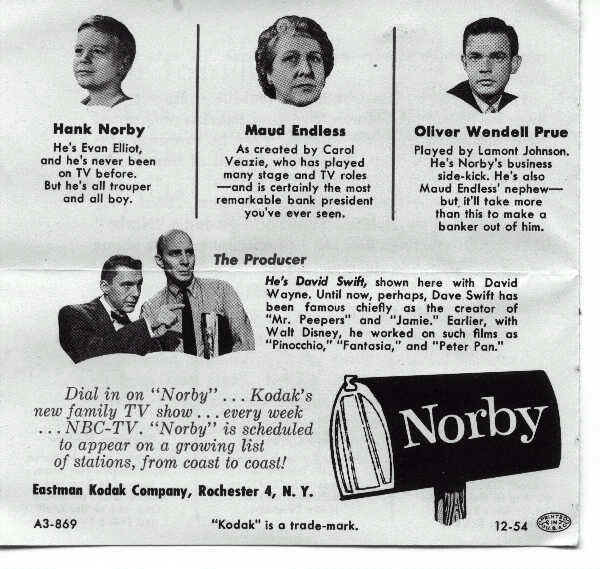 We would LOVE to have ANY "Norby" that features Janice as we have none.